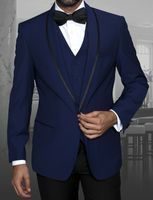 Statement dress tuxedos are colorful stylish paisley fashion tuxedos and Prom Suits that are great alternatives for Your traditional style tuxedo when You want to wear something unique and colorful with paisley for a Prom, Homecoming or Red Carpet event and want to look stylish as well as different from the rest of the crowd. 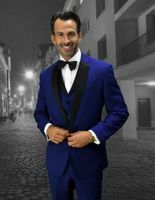 Statement tuxedos are designed in Italy and it's readily apparent that the designers took their time and created the right colorful styles and fashion the first time with their attention to detail that allows the wearer to exhibit his personal fashion style in a way that wearing an ordinary tuxedo or Prom suit seems to shun. 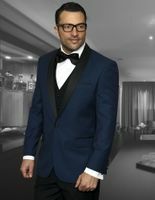 You'll find that the fit and fine paisley and patterned fabric that Statement uses in their dress suits is fine quality with nothing less than Super 150s weave fabric chosen for all of their finely Italian styled dress suits and simply go great with our collection of Stacy Adams Shoes. 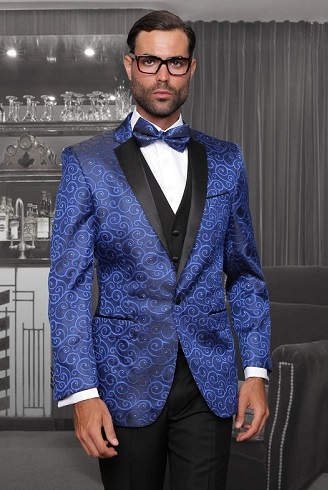 These new style Paisley Tuxedos and Prom suits are Modern fit so they fit like a well tailored suit right out of the box with out having to spend big money on having the jacket taken in for a perfect fit. 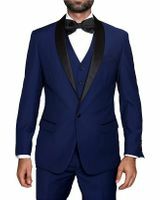 As long as the tux fits, all you will need to do is just have the pants hemmed to your length and you'll be good to go to that Prom or Red Carpet event where you need to look like a Million.